One sunny summer's Saturday while we were on our way to lunch at Broadway Market, we stumbled upon this little charming cafe and ended up ordering from their special's board. 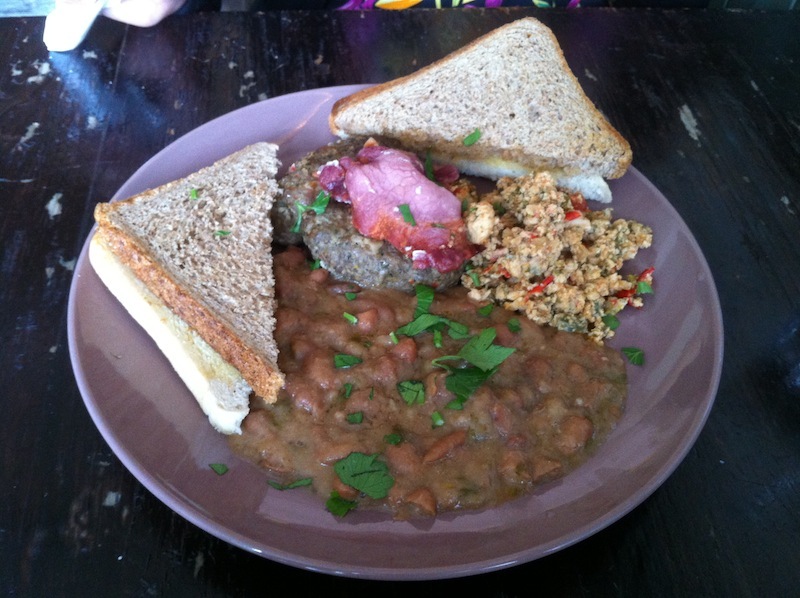 This cafe presents a friendly and peaceful vibe with homely wholesome meals served simply. They even let you bring your own alcohol with no extra charge. 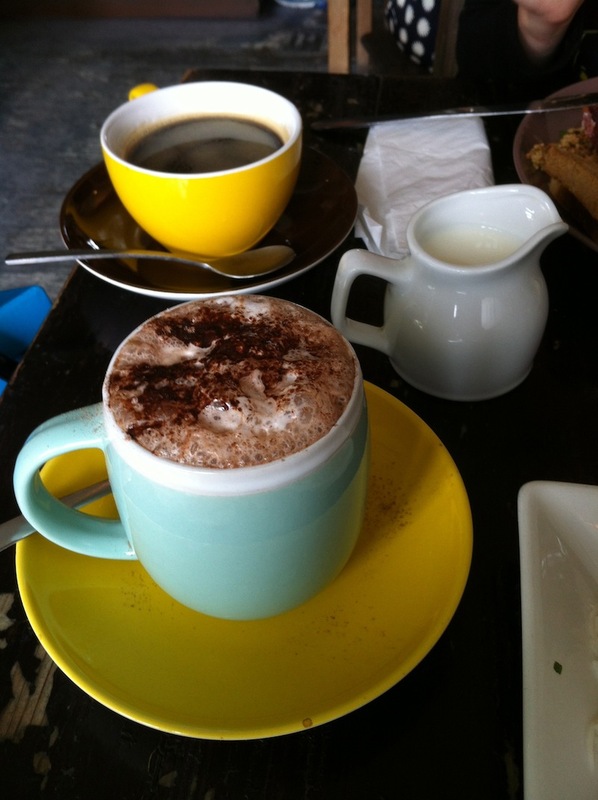 The drinks were served in very nice contrasting coloured cups and saucers. The hot chocolate was alright, though not great. Their version of English breakfast that has no resemblance but was delicious in its own way, served with home made sausages. 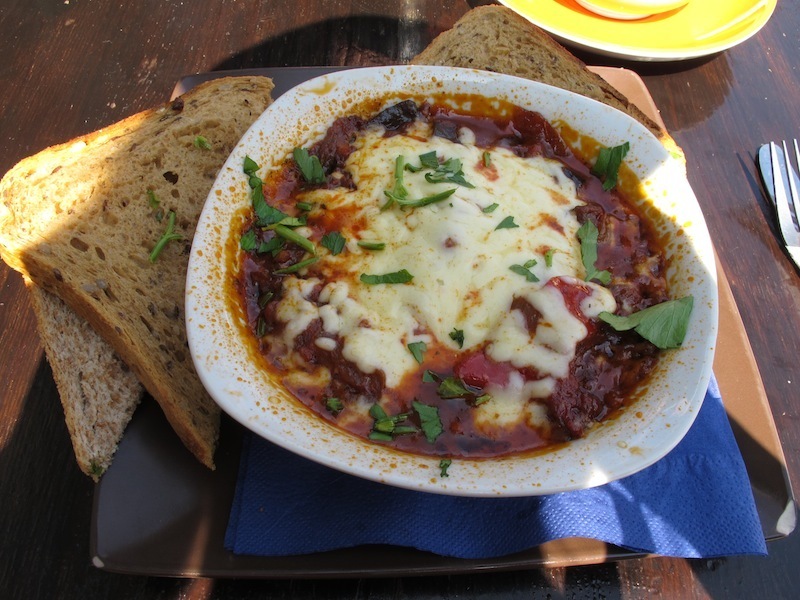 Ajapsandali - hot bowl of aubergines and red peppers topped with mozzarella was rich and flavourful, I wouldn't mind being vegetarian for the day. 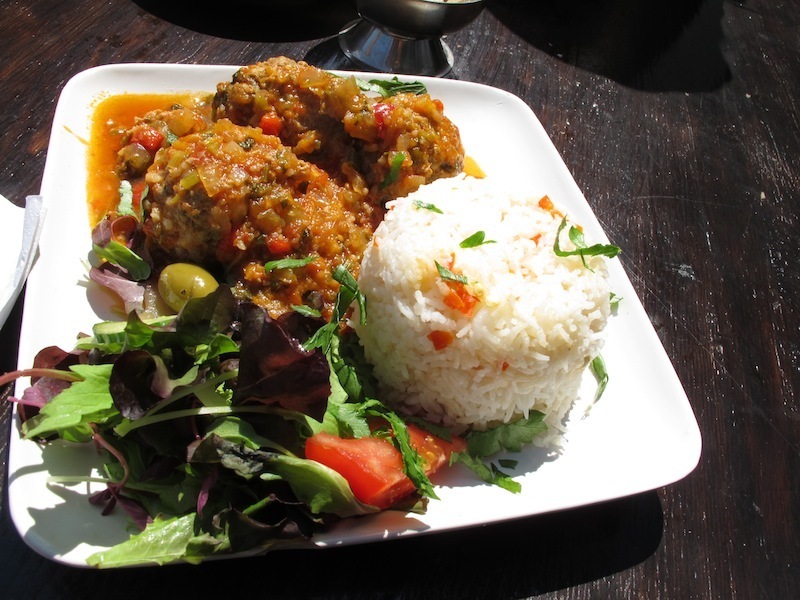 The Gupta meatballs were big, round and juicy, cooked in tomato sauce served with flaky rice and fresh salad. During summer, it is perfect to lunch outside to soak up the sun and people watch. 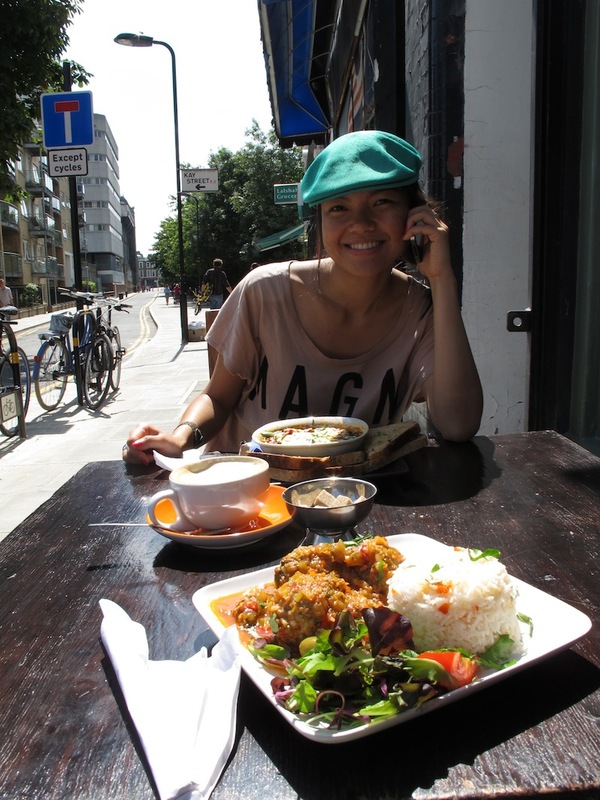 It is located on the route leading to Broadway Market. Now that Winter has arrived, you can always sit inside. 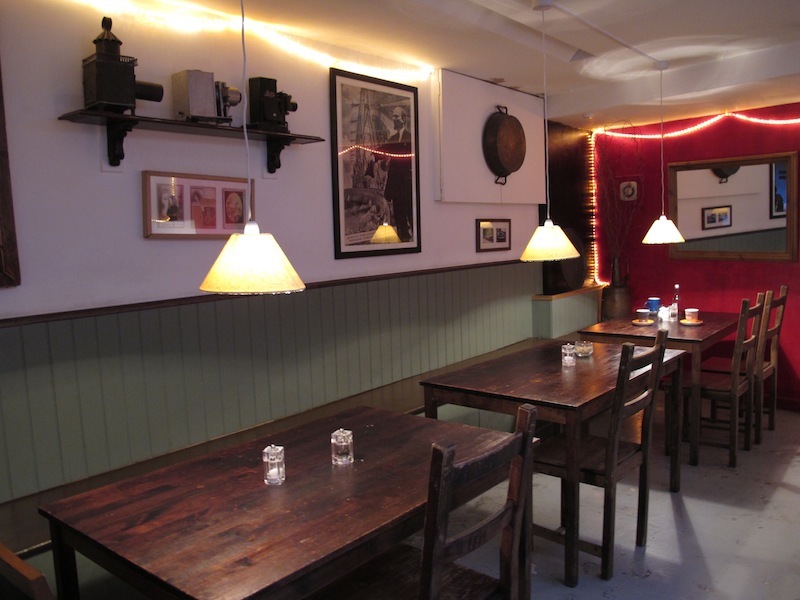 There are more seating downstairs decorated with vintage items and photos. 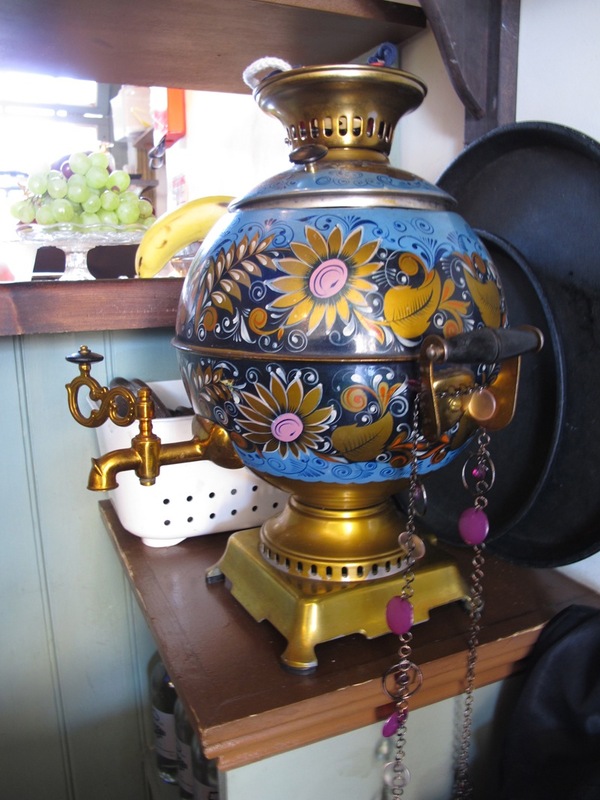 Before I left, I managed to take a picture of this very beautiful Samovar Tea Urn sat behind the counter. Charming and homely. They make good cheesecake too! Hot chocolate can be better but it's not all that bad. Of course, and I've been back a few times. E2 8QR London, United Kingdom. The hot chocolate looks so good! So foamy.